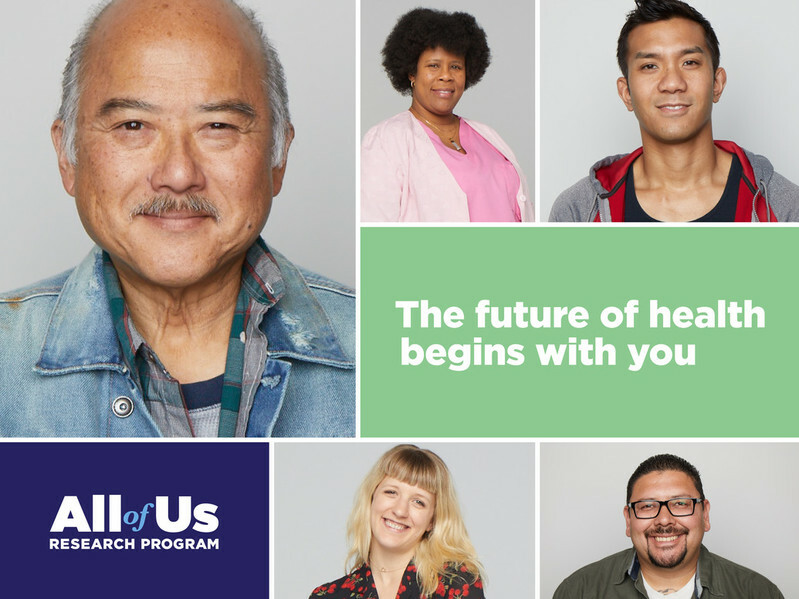 Fourteen national community groups and health care provider associations have partnered with the All of Us Research Program, part of the National Institutes of Health, to help raise awareness about the program—an effort to engage 1 million or more volunteers across the country to build one of the largest, most diverse datasets of its kind for health research. This inaugural group of associations will receive a combined $1 million to help educate their communities about the benefits of participation in this landmark project to accelerate breakthroughs in precision medicine. All of Us participants will share information over many years in a variety of ways, through surveys, electronic health records, physical measurements, blood and urine samples and wearable technologies. Researchers of all types, from citizen scientists to investigators in academia and industry, may request free access to the data, which will be de-identified to protect participant privacy. Their analyses may yield new insights about how individual differences affect health and disease, potentially leading to more tailored treatments and prevention strategies in the future. NIH is collaborating with its engagement awardee HCM Strategists to administer these partnerships. “The organizations will conduct a variety of activities as part of their involvement in the program, which may include holding events, gathering public input, training program ambassadors, leading social media campaigns, developing additional messaging that speaks to the value of participation for their communities and offering continuing education credits for health care providers,” said Ronnie Tepp, HCM’s principal investigator. These key activities will add to the work already underway by an initial set of community engagement partners and other awardees in the program’s nationwide consortium. American Academy of HIV Medicine, Washington, D.C.
American Association of Colleges of Nursing, Washington, D.C.
Black Women’s Health Imperative, Washington, D.C.
Cobb Institute (W. Montague Cobb/National Medical Association Health Institute), Washington, D.C.
League of United Latin American Citizens, Washington, D.C.
National Hispanic Medical Association, Washington, D.C.
National Minority Quality Forum, Washington, D.C. The All of Us Research Program is currently in beta testing, with an anticipated national launch in spring 2018. To learn more and sign up for updates, please visit joinallofus.org.